Summer is the time where you can really express yourself through your personal style. You think blazers are just for fall and winter, well think again my friends! Summer is approaching fast so it’s time to trade in your suit for a nice lightweight blazer. 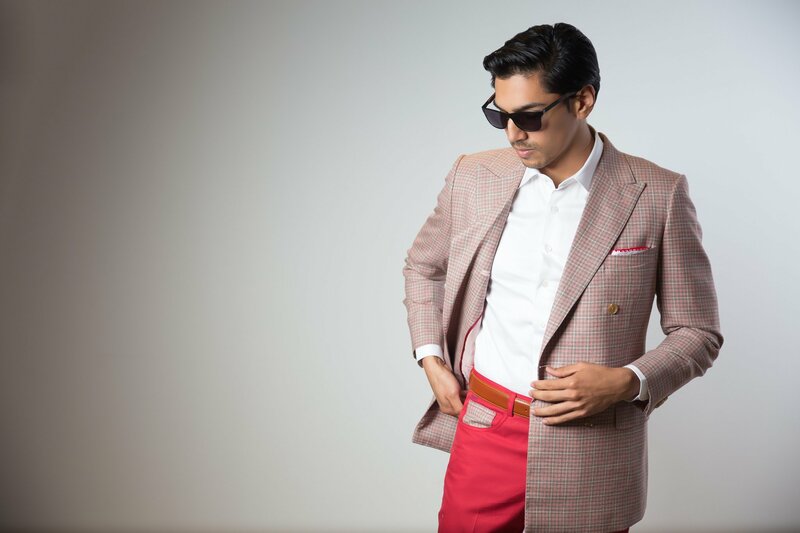 Blazers that are unlined and unstructured are going to be the most comfortable in the summer heat; you can wear and style it both in formal and casual settings. Whatever blazer you choose this summer, make sure your blazers are suited for the occasion and weather. Here are 5 ways to wear a blazer in the summer. You can never go wrong when pairing a blazer with a pair of nice fitting jeans. You can wear this outfit anytime and any place. During the summer the best way to wear this out, is to pair it with something from your closet, such as a t-shirt or tank. This will update your look and allow you to have fun with something new and different. White tank, gray blazer and skinny jeans. You can also throw on a pair of Nikes to give it a more casual look. Whatever the occasion might be a navy blue blazer is always in style. The classic navy blue blazer is one item of clothing that should be in everyman’s closet. It’s the most versatile and functional part of your wardrobe. Wearing a navy blue blazer is appropriate for an interview, wedding, date, or night on the town. A navy blue blazer will never disappoint. Don’t be afraid to switch it up a little bit, you don’t always have to go the safe route. There is a way to match up different patterns without looking gaudy. Pair a natural pair of chinos (gray or white) with a chambray button down. Also mix up bright bold colors. Wearing a blazer that has a pop of color is perfect for a lunch date, the office, day at the beach or just a nice day out. Pair white trousers, white t-shirt with a nice Aqua blazer. Navy and gray are usually the safest colors when it comes to picking out a blazer but try going for a black blazer every once in a while. Black is a cool clean look giving you a sense of mystery to an everyday casual look. Summer is a great time to wear bright and bold colors. You don’t have to dive right in to the trend and wear the brightest pink blazer you can find, try easing yourself into it by wearing neutral shades, a classic tee and some jeans. Summer is a great time to try styles and express yourself. Your blazer, as with all of the other pieces in your closet, should all be things that you can easily wear and re-wear. Styling your blazer with different pieces that reflect your aesthetic and your personality.